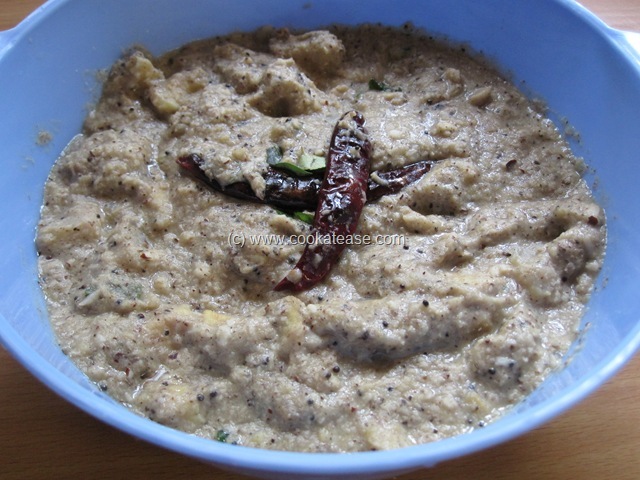 Senai and Vazhakai Erissery (Pepper Seasoned Yam and Raw Banana) is a popular dish of Kerala and is relished in some parts of Tamil Nadu. 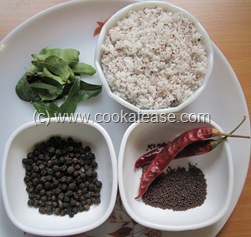 It is a simple dish with fresh coconut and pepper. 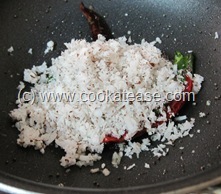 Fried grated coconut is added in the last to make it so tasty and aromatic. 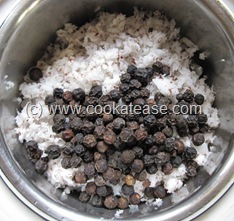 Some add little cumin also in this while grinding coconut. 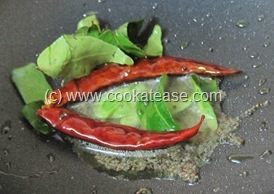 Some use little turmeric also in this. 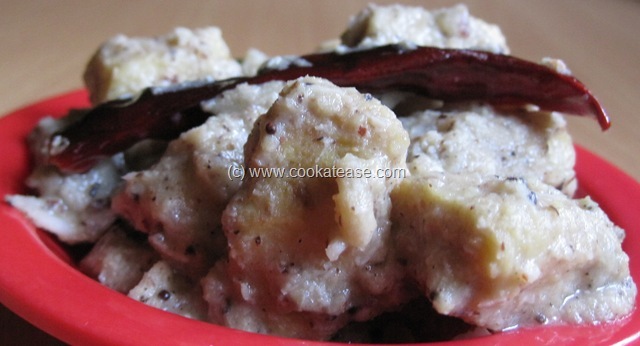 Yam and raw banana combination goes well in this dish. 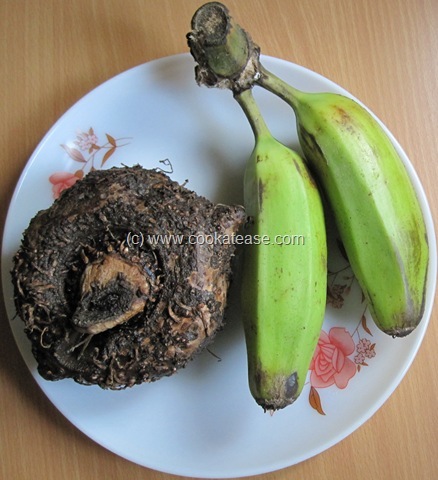 Yam is known as ‘Senai Kizhangu (சேனைக்கிழங்கு)’ in Tamil and Raw Banana (plantain) is known as ‘Vazhakkai (வாழக்காய்)’ in Tamil. 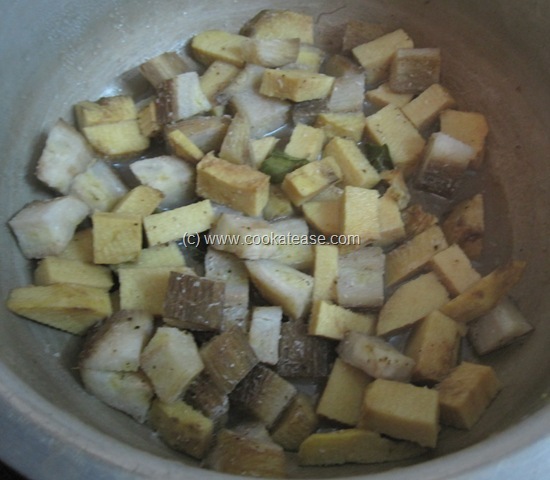 Pressure cook yam and raw banana with little salt, two curry leaves in one cup of water for one whistle (or you can cook in boiling water also). 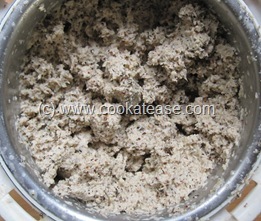 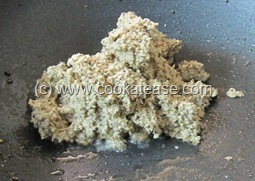 Grind pepper and half of grated coconut to a paste. 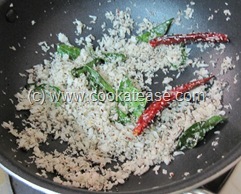 Heat a pan with few drops of oil; add pepper-coconut paste and stir for few seconds. 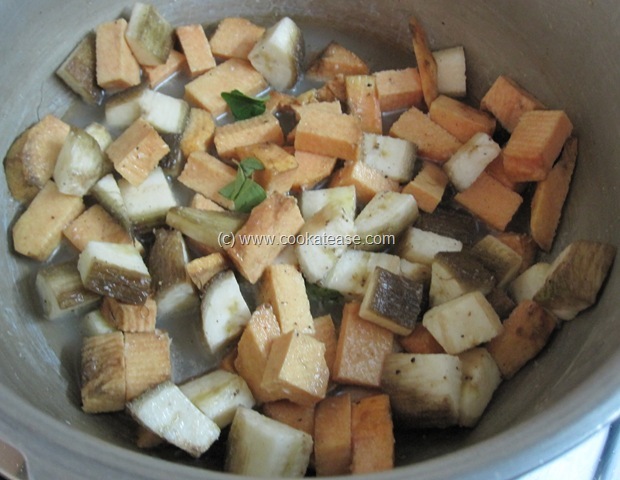 Add boiled yam, raw banana, salt, water and boil for few minutes; adjust consistency by varying water quantity as per your need. 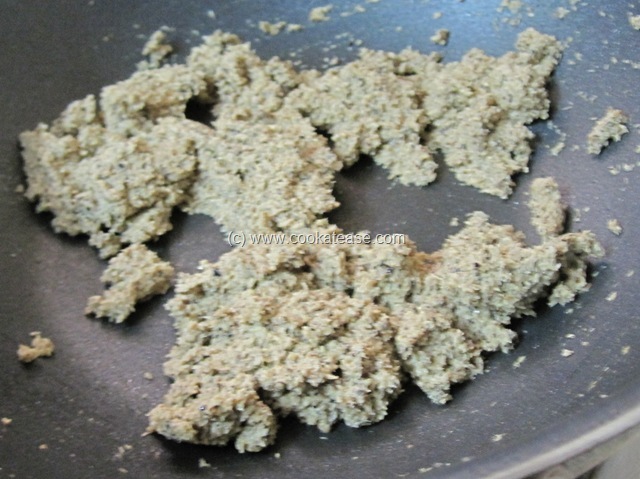 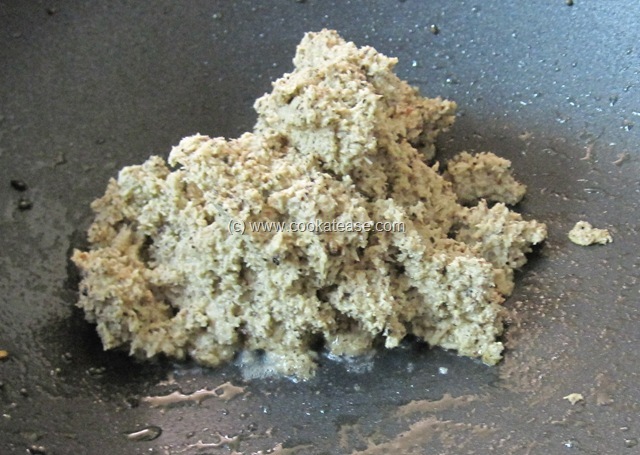 Take another pan and heat it with remaining oil; when hot add mustard, red chilli, curry leaves and fry for few seconds; after mustard splutters well, add remaining coconut. 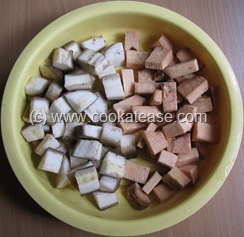 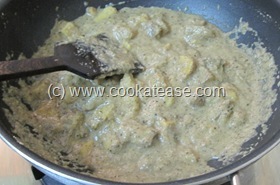 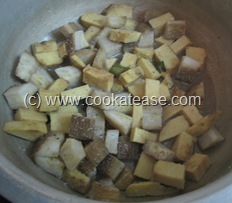 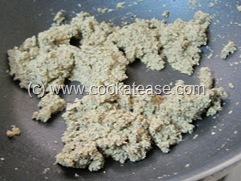 Fry till coconut turns slightly golden in colour; add this with cooked vegetable mentioned in previous step. Mix well and cook for few seconds. 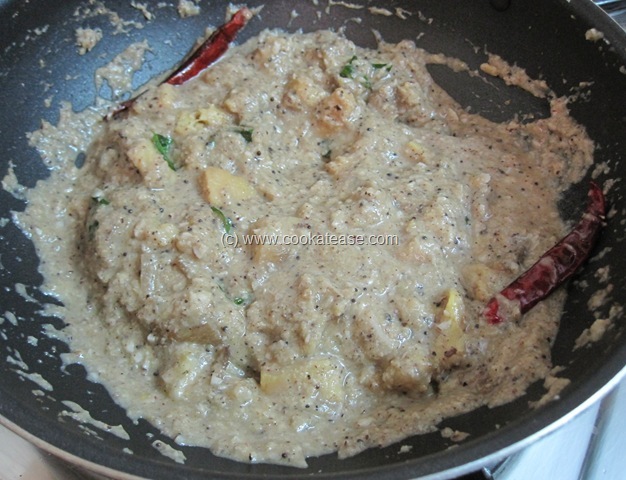 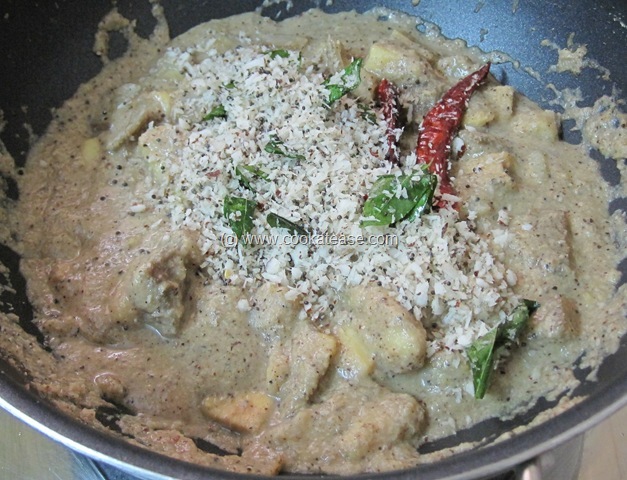 Now delicious Senai and Vazhakkai Erissery (Pepper Seasoned Yam and Raw Banana) is ready. 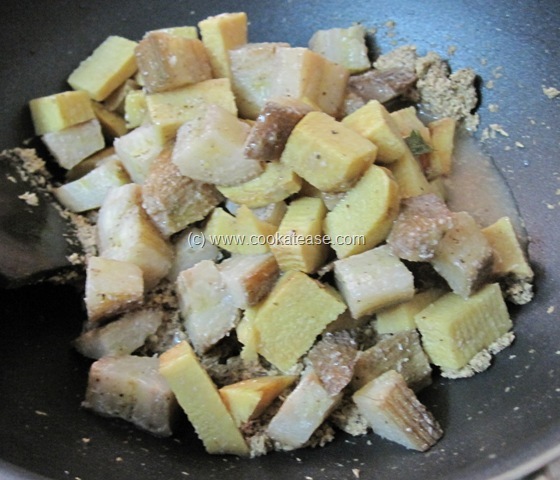 This dish can also be prepared with other veggies and legumes.